You have the intention to pursue your relaxing hobby in one of the most valuable landscapes in Germany, the Lower Oder Valley National Park. Please understand that, in order to protect this unique landscape, certain restrictions are necessary for nature conservation, about which you will be informed below. The National Parks Act of the Lower Oder Valley from 9th November 2006 and the regulations concerning fishing in the Lower Oder Valley National Park, dated 21st February 2007, govern the national park. For the protection of this unique natural landscape, they take precedence over fishing and private law regulations, which otherwise apply here as well. store or dispose of waste in any way. 2. Visitors to the national park have to be prepared for dangers that could arise from the conservation purposes of the national park (i.e. falling branches and trees, hollowed-out shorelines). Entry to the national park is at your own risk. 3. Fishing is generally forbidden in the waters and from the shores in protection zones I a and I b. The fishing ban zones and exceptions to the general prohibition are shown on the maps. 4. From 1st March to 30th June, fishing in the polder waters is generally prohibited (spring fishing ban). Exceptions to the ban are shown on the maps. 5. Crossing the dike foreland of the Oder at the Lunow-Stolpe polders from river kilometre 669.1 to 678.7 is only permitted on the paths indicated on the map. 6. Fishing is prohibited within 50 metres of beaver lodges. This area may only be crossed carefully and with the greatest possible distance from the beaver lodge, if it cannot be completely bypassed altogether. The currently known beaver lodges near fishing waters are marked on the map. The National Park Administration will post updates properly and in a timely manner. These areas may only be crossed carefully and with the greatest possible distance from the nests, if they cannot be completely bypassed altogether. The currently known nesting sites near fishing waters are marked on the map. The National Park Administration will post updates properly and in a timely manner. 8. Fishing is prohibited near tern (sea swallow) colonies from 1st May to 31st July. The currently known locations of tern colonies are marked on the map with corresponding restricted areas. Depending on the settlement, colony expansion and the breeding season, the National Park Administration will change, revoke or re-define the restricted areas as well as adjust the appropriate fishing ban times and post them on site. 9. There is a ban on night fishing in all polders (one hour after sunset until one hour before sunrise). 10. Please provide a thorough and complete list of catches with the fishing permit and return them to the National Park Administration in due time. 11. Please be aware that there is no trespassing in the area of the Schwedt cross-country due to undiscovered munitions (see map 3/6); issued by the Schwedt/O. municipality (general ruling from 11th September 2014). We recommend that you get informed about the exact and current legal situation in the national park before fishing. 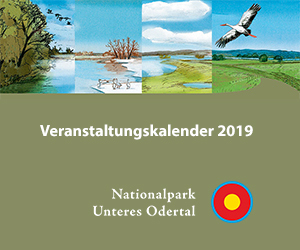 The maps in this brochure can be viewed with a better resolution (zoomable) on the Internet at www.nationalpark-unteres-odertal.eu, and the underlying legislation at www.landesrecht.brandenburg.de or during normal working hours at the National Park Administration. 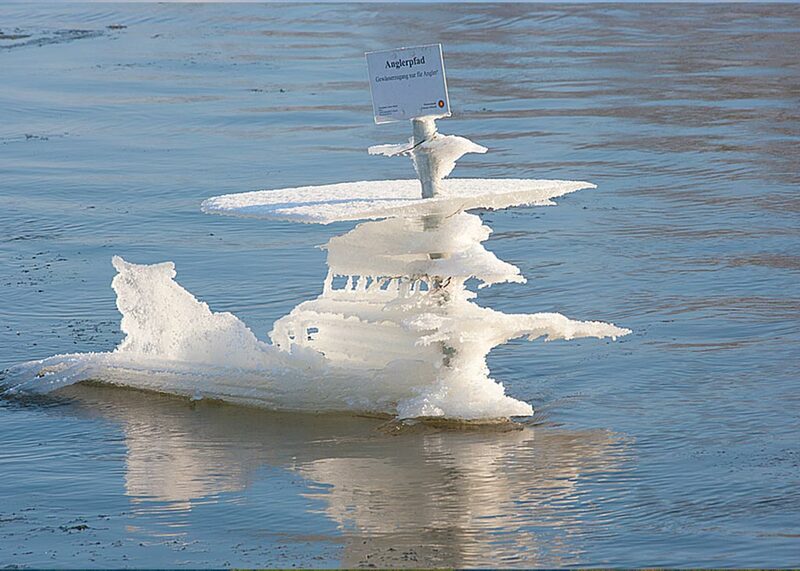 Detailed and up-to-date information is issued by the National Park Administration in Schwedt, OT Criewen, Park 2, Tel. : 03332 2677-0 (working hours) or 03332 2677-244 (visitor centre at weekends). We would be delighted if you informed us about special observations of nature; for example, unknown beaver lodges, nesting sites and tern colonies. By doing so, you could make a valuable contribution to the protection of nature in the national park. We wish you a beautiful outdoor and fishing experience in harmony with nature in Germany’s only floodplains national park.